Monday June 19th 1400hrs. We were called by the ambulance service to assist a lady who had fallen on a path below Captain Cook’s monument near Great Ayton. The 55 year-old was on a day trip from Filey with her family when she slipped and injured her leg. 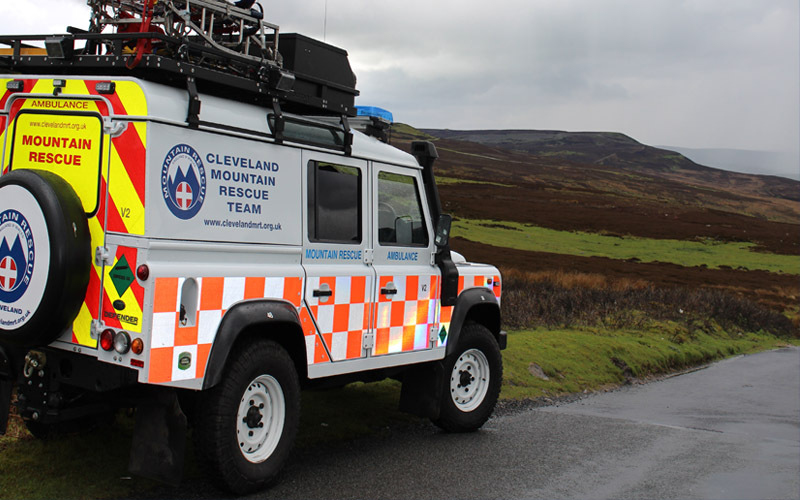 Team members were deployed to the area in our Landrover ambulances and were able to reach the incident site with first aid equipment after a short walk up the hillside. The lady was treated at the scene by team members and a team doctor before being carried 800m across the fields on our specialized mountain rescue stretcher to where the Yorkshire Air Ambulance had landed which flew he to James Cook Hospital for treatment. The incident involved 14 team members and lasted a couple of hours.